The Hermann Keller GmbH is located near Baden-Baden in Oberachern, at the foot of the Black Forest which boasts the richest forest reserves in all Germany. Being situated at the heart of Europe with excellent access via road, rail and water, it is ideally located to reach all markets. 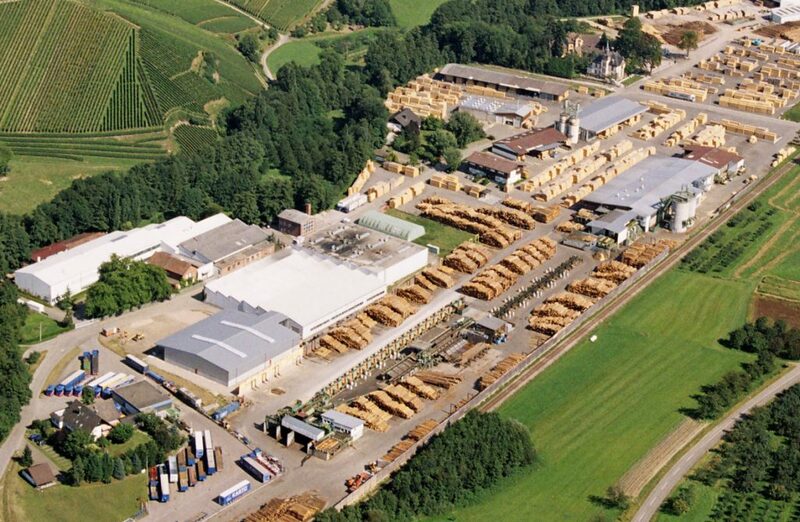 The infrastructure of the 14 ha production area includes a log sawmill with two log-yards, drying kilns, a biomass heating power station and a planing factory with a stress-grading-system. 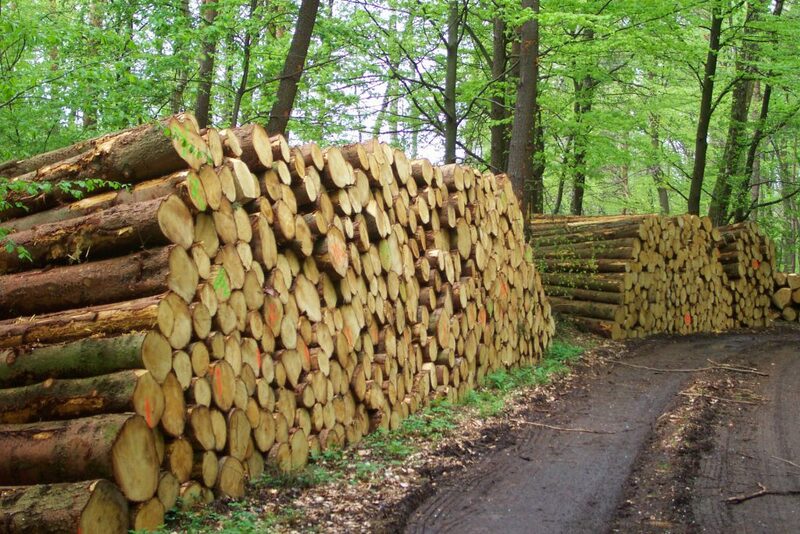 The timber we utilise is sourced from the local surrounding area. We obtain 95% of our raw materials from within a radius of 100 km. This results in reduced transport and energy consumption. Environmental protection plays an important role in our production. Fitted with a biomass cogeneration plant, we are able to produce the energy required for the production of kiln dried goods. This has the added bonus of negating the use of anti stain chemicals and reducing the weight of timber, thus resulting in higher payloads, less transport and therefore less energy consumption. We procure our renewable resource wood from the immediate surroundings, emphasising sustainability in procurement from our suppliers and a PEFCTM certification. PEFCTM is the biggest forest certification system worldwide. Serving as a synonym for sustainable forest management under ecological, economic and social criteria, it provides for sufficient amounts of certified resources. This certification of the chain of custody enables retracing of the whole path of the wood, from the forest to the sawmill and the end product. Production by-products are collected separately and provided for further use. Sawdust, wood chips and wood shavings are for example used in the derived timber product or paper industry. The bark is partly used in our own heating plant to create thermic energy, but is also sold to firms in gardening and landscaping, closing the ecologic cycle. We received the international energy- and environment management certificate ISO 50001 for our energy saving and environmental friendly production. Our energy management is constantly opening up new power efficiency potentials, reduces energy costs and emission such as other environmental impacts of energy usage. We hereby contribute to environment- and climate protection.